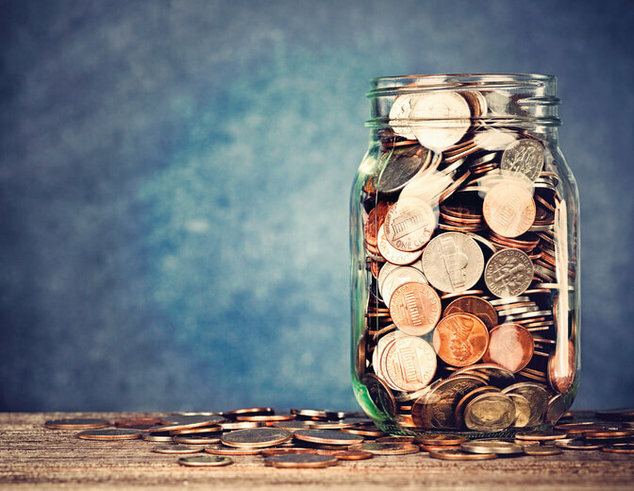 There's no question that frugality is an important part of personal finance — you can't outearn dumb spending — but trying to get rich by pinching pennies is like trying to win a car race by conserving gas. If you want to reach the finish line fast, you can't be shy with the accelerator! Your knowledge and skills. If you want to earn more, it pays to learn more. Your productivity. Both the quality and the quantity of your work affect how much people are willing to pay you. Your ability to sell yourself. To be paid what you're worth, you have to ask for it. "Why we stopped chasing early retirement in favor of a happier life." "How I live on $1500/month in New York City." Tesla Model 3 vs. Toyota Camry: Which has the lower total cost of ownership? Some folks claim that if you do what you love, the money will follow. Others say that a job is just a job — you're not meant to like it. The truth lies somewhere between these two extremes. There are few things worse than a job you hate; and many people enjoy fun, fulfilling careers while earning a good living. Whatever the case, any job is more bearable if you're paid well. 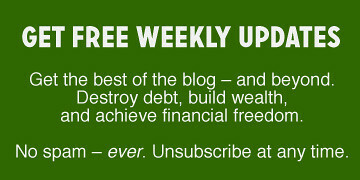 Plus, a high wage means more money to pursue your goals and dreams. One of the best ways to increase your income is at the source: during salary negotiations when you land a job. For many people, salary negotiations are awkward or scary. 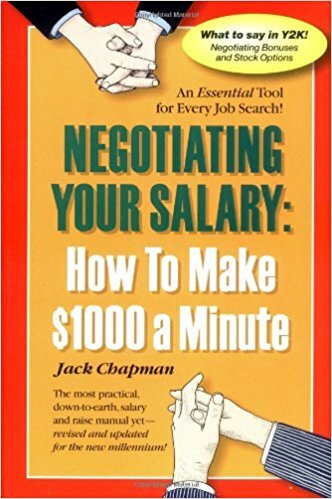 But in his book Negotiating Your Salary: How to Make $1000 a Minute, career coach Jack Chapman argues that those few minutes during which you ask for more money in an interview can make a difference of tens of thousands of dollars over your lifetime. Maybe even hundreds of thousands. He says you can literally earn $1,000 per minute if you do this right. Research backs him up. 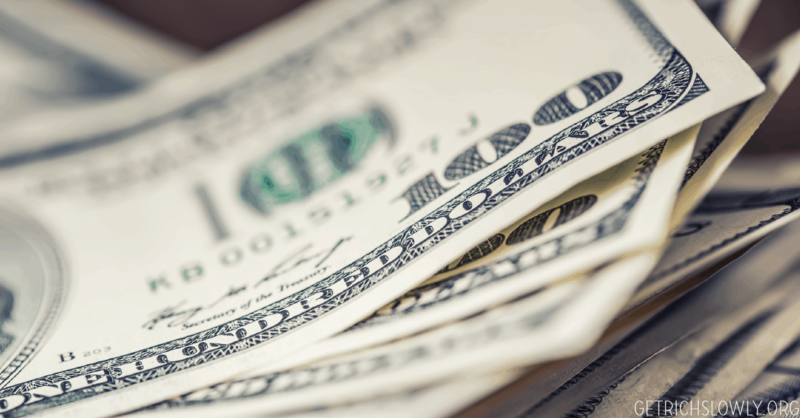 According to a 2010 study conducted by George Mason University and Temple University, failing to negotiate on an initial job offer could mean missing out on over $600,000 in salary during a typical career. Only about half of all applicants negotiate their salary; don't be one of these folks. If you don't ask for more money, your employer certainly won't just give it to you. Before we look specifically at negotiating salary, let's review the basics of negotiation in general. Power, or the ability to get things done. In salary negotiations, you gain power from perceived expertise or legitimacy. The better qualified you are for a position, the more leverage your have. You also gain power through persistence, attitude, and taking calculated risks. You have power if you’re willing to walk away; if you’re not, the company can name its price. Time. In negotiations, the side with the most time generally has an advantage. No matter how much pressure you’re under, always keep your cool, maintaining an appearance of calm. Having other options buys you time. You’re in a better bargaining position if you already have a job (or job offer) and don’t need to accept his one. When you believe you have to have something, the other side can easily manipulate you. Information is the final piece of the puzzle. The more you know, the stronger your position. Do your research before you negotiate. During negotiations, act on whatever new info comes to light. The interviewer’s questions, responses, and attitude all give you valuable information. Hourly vs. Salary: Which is Better? I had a conversation with a friend, we'll call him Joel, who had two job offers. One was a low-stress 9-to-5 gig but paid $10,000 less than the other offer, which would require longer hours and greater responsibility. He didn't like a lot of things about the higher paying position, but he accepted the offer because it was more in line with the salary at his last job. In the months that followed, he was regularly putting in 12-hour days at the office and working Sundays. My guess is that it was at least 60 hours per week, and that's being conservative. His gut instinct was right — he wasn't enjoying the new job. I couldn't help but wonder if the extra money was worth it because I was in a similar position not long ago. When I was an employee, I was on the cusp of going from hourly to salary, and quite frankly, I'm glad I was able to avoid the uncomfortable conversation of declining a promotion. In my situation, a jump in levels would essentially mean I would be doing the same job (with the possibility of more responsibility) for the same pay. Vacation and sick days were the same for hourly or salaried employees. When I asked what the difference was between the two pay structures, other than the fact that I wouldn't get paid for overtime on salary, I was told that salaried employees can take a couple of hours for a doctor's appointment and not have to use their sick time. As a young, healthy woman without kids, I had amassed more sick days than vacation time. That wasn't much of an incentive. Then I looked around me at some of the other salaried employees who stayed late or worked weekends, and I wanted no part of it. I wanted to have dinner with my husband at night and spend our weekends going to markets, cooking and watching Netflix. At another job, I was told that being on salary meant that “if we close the office early, you'll still get paid.” But we closed the office maybe two or three afternoons out of the year, and there were many, many events that required 8+ hour days. Once I put in a 22-hour day for a particularly big event. In these particular situations, I just didn't see the benefit of switching to salary. Was I crazy, or was everyone else?! Nonexempt employees are typically paid by the hour and are entitled to overtime pay if they work more than 40 hours per week. Exempt employees, on the other hand, do not get overtime pay. For example, a sales consultant is usually exempt, but a customer service rep who works in a call center will most likely be nonexempt. Every field, company, and job is different, but generally, the following are the benefits and drawbacks of each pay structure. Guaranteed a certain dollar amount for every hour you work. Positions usually have a predetermined number of hours you'll work. If you're asked to work more than 40 hours, you get paid overtime, which is time-and-a-half for each hour after the first 40 hours. For example, if your hourly wage is $12, you would be paid $18 for every hour past 40 hours in a week. Some employers double your hourly rate if you're asked to work holidays. The drawbacks? If your place of business closes early or decides to cut back on hours, that means a smaller paycheck. The likelihood of that happening depends on the industry and the company. A 9-to-5 office job is likely to have a set schedule, whereas a job working in retail might fluctuate more. Guaranteed a certain dollar amount per paycheck. Some companies offer salaried employees additional perks, such as vacation days or a more flexible schedule. For example, if you finish your work early, you might be able to take the afternoon off. Often salaried positions come with a higher status and/or a jump on the pay scale. Salaried employees might be happier, according to a study published in Personality and Social Psychology Bulletin. Researchers found that income didn't affect happiness levels as much for salaried employees as for those paid hourly. Hourly workers experienced a stronger relationship between income and happiness. The downside is that if a salaried position demands more than 40 hours per week and working on holidays, you won't get paid extra for your time. In my case, there were no extra perks and no bump in pay. My hours were just as set as they were for salaried coworkers. Maybe more so since my boss was reluctant to have me work overtime and have to pay time-and-a-half. I think in Joel's case, it wasn't such a good deal, either. If he was making $50,000 and working 60 hours per week, he made about $16 per hour. If he had accepted the other job offer at $40,000 and 40 hours per week, he would have made $19.24 per hour. He was working at a lower hourly wage, and he wasn't even enjoying his job. But in many cases, it can be a great thing, especially if you make more money, get extra benefits, and your company doesn't expect 80-hour work weeks with no time off to compensate. If you're young and single, maybe you want to focus on your career and climb the corporate ladder. If you're a father of two small kids, making it home for dinner every night might be your top priority. Then look at the perks and decide if they're worthwhile to you. For example, a free pass for doctor appointments didn't matter to me in the least, but I would've jumped at the chance for a flexible schedule. In short, don't assume that salary pay is necessarily better. Every job and every employee's personal situation is different, so crunch the numbers and weigh the benefits for yourself. Editor's note: This article was first published in 2011 and updated by Katie Ryan O'Connor in October 2016.